We know all about the impact that drones are making in industries where their use is now established. Many construction and real estate businesses, for example, are familiar with the benefits of aerial technology. But which other industries are discovering how to use drones? And what possibilities are there for the future? Drone light shows are fast becoming the most high-profile use of drone technology, even though they are mostly limited to festivals, sporting events and, occasionally, world record attempts. All of the above have been illuminated by LED-carrying drone swarms, from the Super Bowl to Coachella to the opening ceremony of the Winter Olympics. Sure, they aren't saving lives or being used by first responders, but they are inspiring people to think positively about the potential of drones - something that shouldn't be understated. As well as exciting crowds and providing a modern alternative to fireworks, drone light shows give companies a novel way to promote their brand. 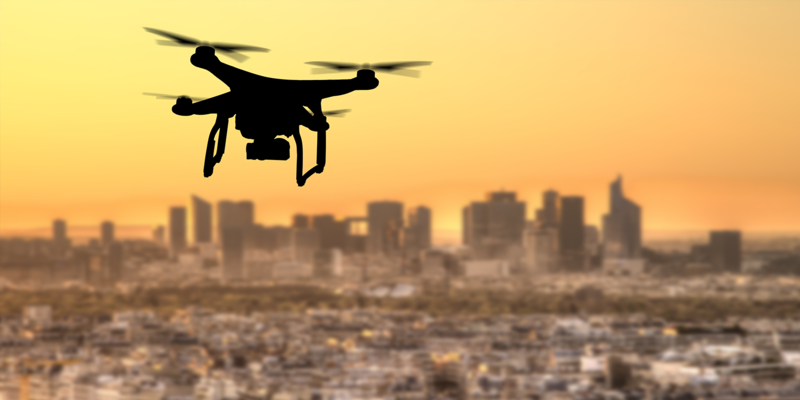 The recently launched and catchily titled Unmanned Aircraft Systems Integration Pilot Program has given several companies the green light to explore innovative drone operations across the US. One of these is drone delivery. Although much needs to be done - both from retailers keen to deliver via drone and regulators seeking to integrate them into the airspace - before delivery becomes a reality, the program is a positive step. There's no saying when (or if) drone deliveries will truly hit the mainstream. But with the weight of an industry behind the concept and pilot programs in place, they may be just on the horizon. The emergence of aerial light shows has given us a preview of how drones can be used for creative displays. It's also led the way for new artistic methods. In the future, combining drones with augmented reality technology could lead to even more creative possibilities. At DroneBase we've already started to scratch the surface of that potential with our AirCraft platform. Our pilots can now build racing tracks and works of art in the sky, as well as use the technology to augment existing structures for commercial and training purposes. Who knows where the combination of flight and AR will take us? Those are just a few industries benefitting from drone technology. Want to learn more about working in the drone industry? Check out our Pilots page today for more information on flying with DroneBase.